A quartet of uncapped Northern Knights players look set for international recognition after being named in Ireland squads for forthcoming tours over the next two months. James McCollum and James Cameron-Dow were named in the ODI and Test squads, while Harry Tector and Shane Getkate have made the T20 line-ups. It's just reward for both McCollum and Cameron-Dow who have been the stand-out performers in a curates egg tour for Ireland Wolves in Sri Lanka. Harry Tector's timing for his first international hundred couldn't have been better, and his reward is a place in Oman and India for the T20 quadrangular and three T20I's which follow against the Afghans. Shane Getkate's form with the bat in Sri Lanka has earned him a place in the senior ranks for the T20 series, which will be captained for the first time by Paul Stirling with Gary Wilson missing out due to an eye problem. James Shannon's shoulder injury sees him not named for the Oman tournament, but the Knights' skipper has been included in a 15-man panel for the T20 leg of the Afghanistan series. 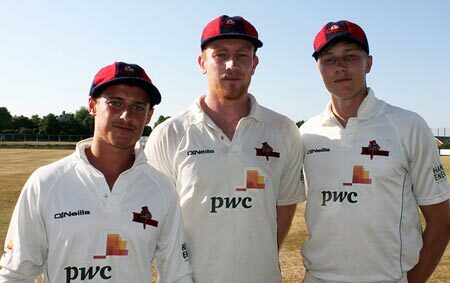 Shannon revealed earlier this month that he's moving to Leinster to play club cricket with Phoenix, and rumours persist that he could well be joined by former Shaw's Bridge team-mate Getkate, who is reportedly set to accept a youth coaching position at the club.